I have had so much fun getting into the holiday spirit in the kitchen lately! As you may know, I’m getting close to the release date of my first cookbook, Nourishing Holiday, which is my all-new e-book with over 50 holiday recipes, which focus on gut health. 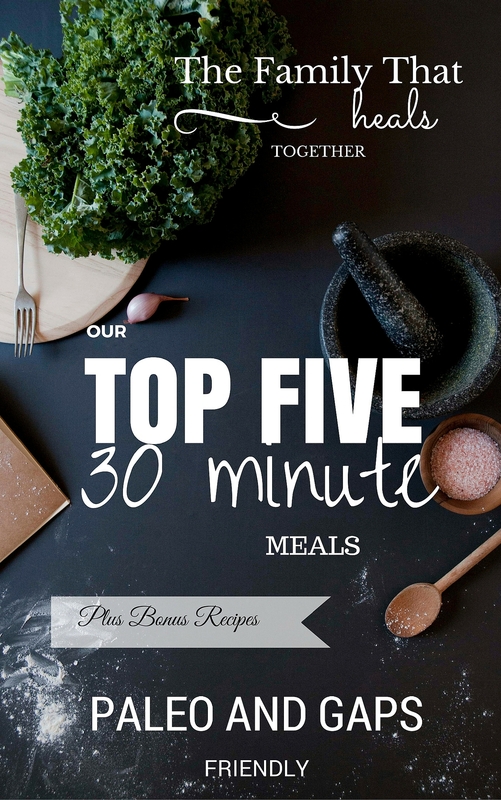 The recipes are perfect for GAPS, primal, and paleo diets, and I know you’re going to love them! 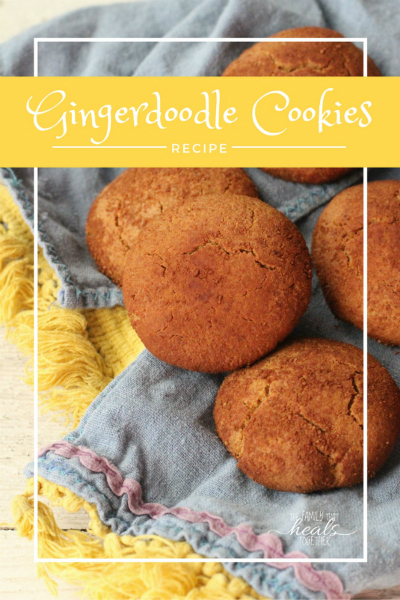 This “Gingerdoodles” recipe is adapted from the book. 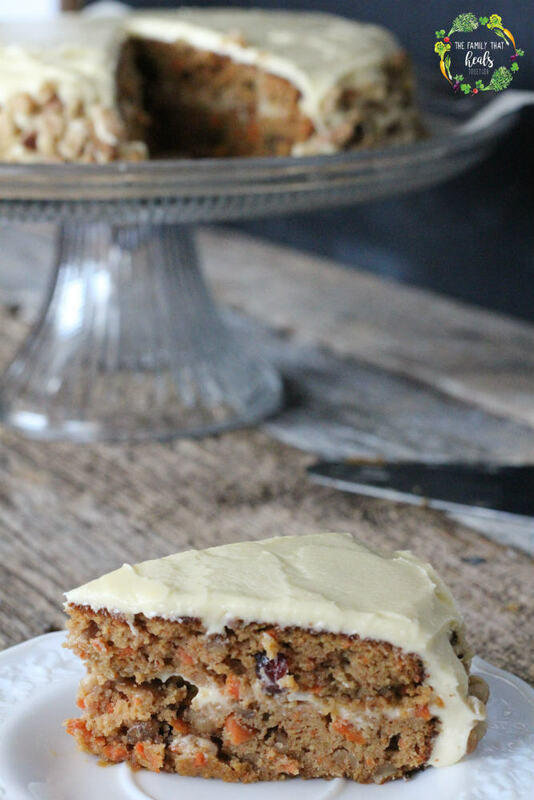 I wanted to share this recipe so you can get a taste for what’s to come in the book. Also, sometimes I make up words. Like Gingerdoodles. 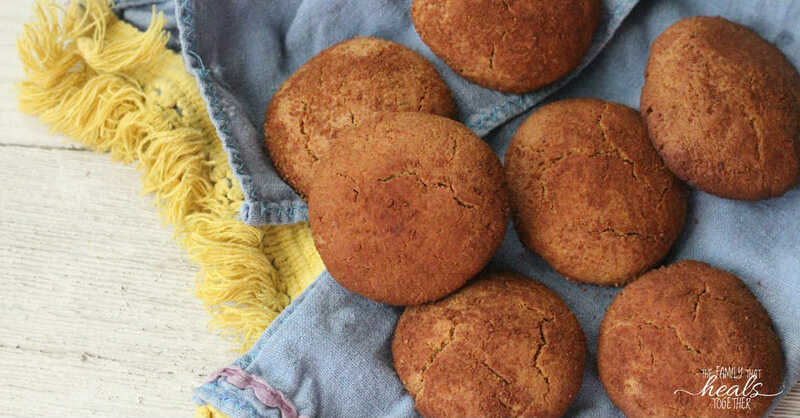 Gingerdoodles are the perfect combination of two lovely cookies, which I’m sure you’ve already figured out by now: gingersnaps and snickerdoodles, both of which I love. This cookie is the best of both worlds! The best part is that these cookies are not only delightfully delicious, but they are totally healthy. They’re grain-free, refined-sugar-free, low carb, low starch, and full of good fats and protein. But your kids won’t know how healthy they are, and that’s the best part, really. These Gingerdoodles are adapted from my Gingerbread Man Cookies from Nourishing Holiday. I love making holiday cookies with my kids. I tolerate my kids making messes in the kitchen while we make cookies together. 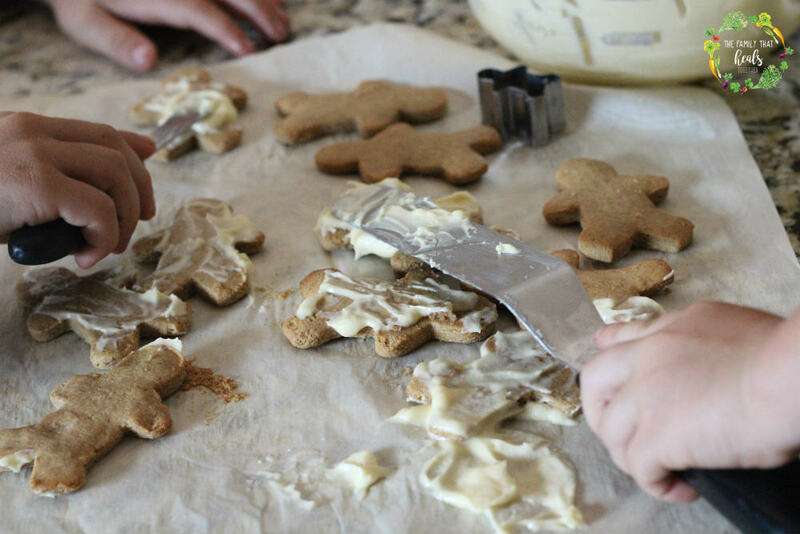 But seriously, for all the mess and stress, making cookies together is a time-honored tradition I always want to be able to do with my kids, no matter how strict our diet. I hope your kids love these as much as mine do! If you want to get your hands on Nourishing Holiday at the BEST PRICE, make sure you’re signed up for my newsletter, because I will have an early release, discounted pre-sale for newsletter subscribers only! You will not be able to get it at a better price, and you’ll get it first! Don’t say I didn’t warn you. Sign up here. Be sure to check out the details on Nourishing Holiday here. 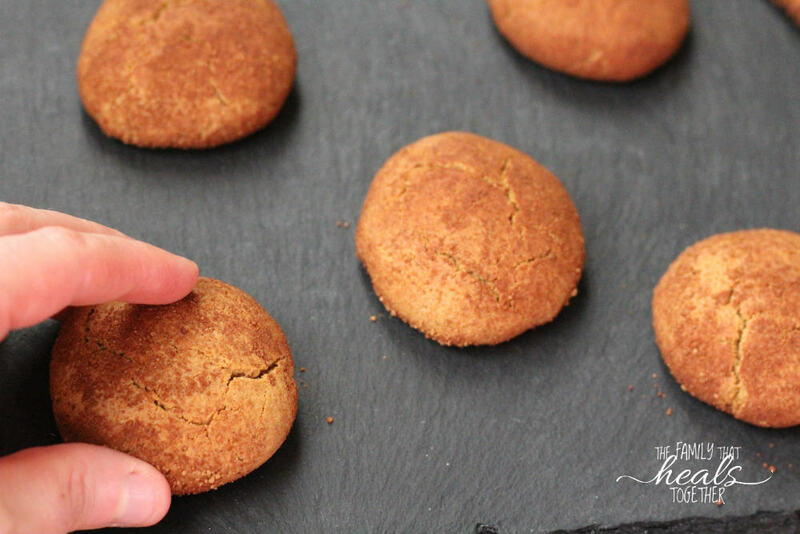 Then get the recipe for Gingerdoodles below! Would your kids love these Gingerdoodles? Be sure to pin the recipe or share using one of our handy links so friends can have some healthy holiday cookie fun without the guilt! 3 tbsp - coconut sugar - Use date sugar for GAPS-friendly option. In the container of a high powered blender or food processor, combine crispy nuts, dates, eggs, butter, vanilla, ginger, and 1 tsp cinnamon. Blend on high until smooth. Pour the mixture into a large mixing bowl and add almond flour, coconut flour, baking soda, and salt, and stir until a thick, sticky dough forms. In a small bowl, combine remaining 1 tbsp cinnamon and coconut sugar and stir. Scoop tablespoon-sized balls of dough and roll between your hands. Roll each ball in the cinnamon and sugar mixture before flattening with your palm on a parchment-lined baking sheet. Space cookies 1" apart and bake 15-18 minutes, until cookies begin to brown on edges.